The Shivanga Sadhana offered by Sadhguru is a powerful process that allows one to explore higher levels of experience in body, mind, and energy. It will culminate on Mahashivarathri at the Isha Yoga Center. A few Shivangas share their experience of this intense period of sadhana. The Shivanga Sadhana for men, is a powerful process that enhances one’s receptivity to the energies of Dhyanalinga, and allows them to explore higher levels of experience in body, mind, and energy. 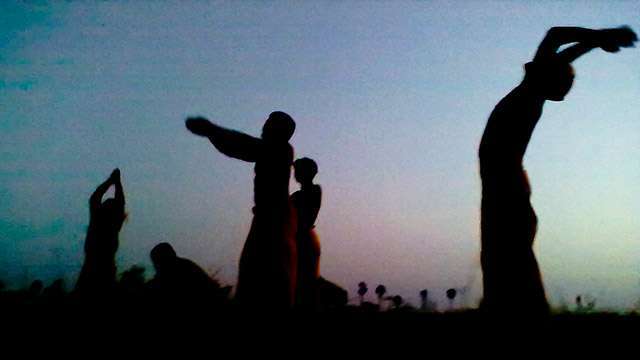 The sadhana takes place during Uttarayana, a time of great spiritual significance, when the sun’s run shifts to the Northern Hemisphere – a time recognized as highly conducive to receive Grace. This year’s sadhana for men began on Thaipoosam on 27th January, and will culminate on Mahashivarathri, on 10th March. Over 6000 Shivangas from all over the world will be completing their sadhana at the Isha Yoga Center on Mahashivarathri, with a pilgrimage to the Velliangiri Mountain’s sacred Seventh Hill, a space of tremendous power and energy where Adiyogi himself spent time. 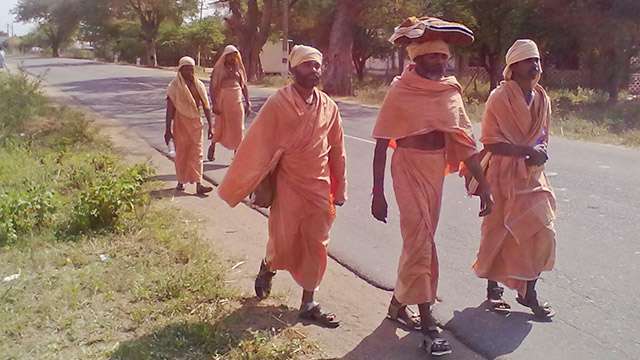 Six Shivangas from Nagercoil have decide to walk to the Isha Yoga Center as a part of their sadhana. 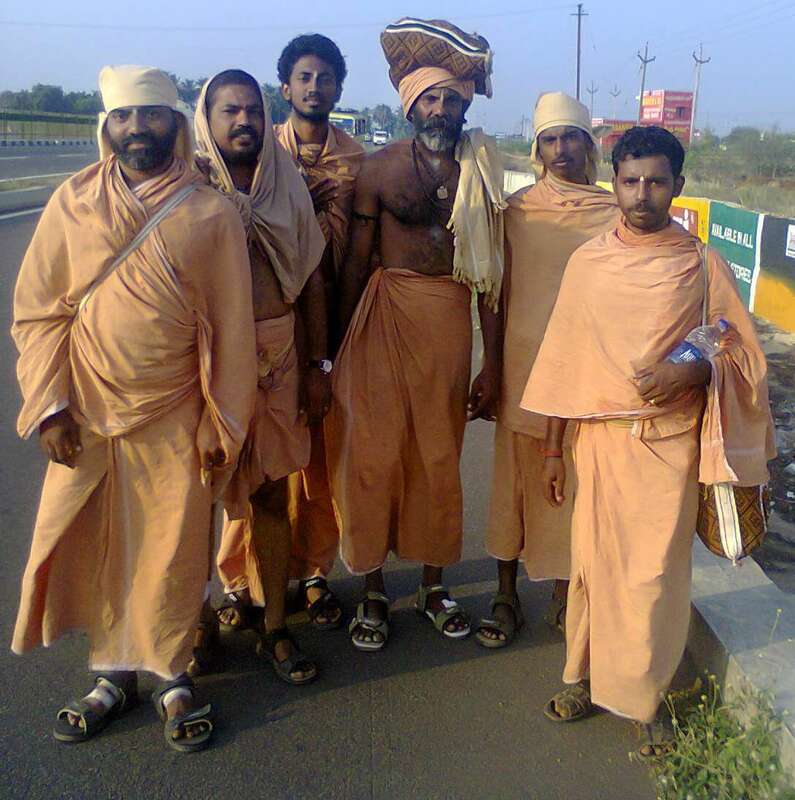 Their 430 kilometer journey began on the 27th of February, when they set off at four in the morning after Guru Pooja. With two more days of travel remaining, the six of them shared their experience of the past 10 days, with the blog team. “There are really no words to describe the experience. The closest I can say is that it is like a Samyama Sadhana. Shiva is with us. It has really demolished the ego and changed the way we experience life. At every place we stop, volunteers have been taking care of everything for us. They anticipate our needs without us even having to ask for anything. They are there with food, medicines and anything else that we might need. We walk in silence, just chanting to ourselves. Sadhguru has been with us every step of the way. It’s amazing how some things have turned out. We had planned to walk 40 kilometers every day. On the first day, we managed 55 kilometers without even being aware of it. But this took a toll on the second day. When we woke up, our legs were blistered and we managed only 14 kilometers. We had to stop because one among our group was in a really bad state. He had to lie down and take rest and wasn’t in a position to continue. 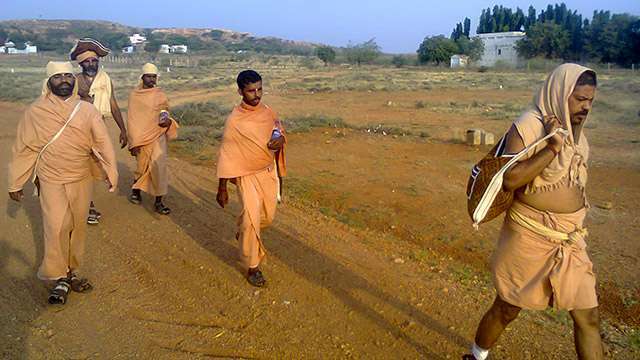 He asked us to carry on, and said that he would somehow make it, but we decided that we would get to the ashram together and refused to leave him behind. Just then we received a phone call from the ashram, and we were told that Sadhguru had enquired how we were doing. That was all it took! Our friend who had been out for the count, shot up and walked on like a new man! It was all we could do to keep up with him! 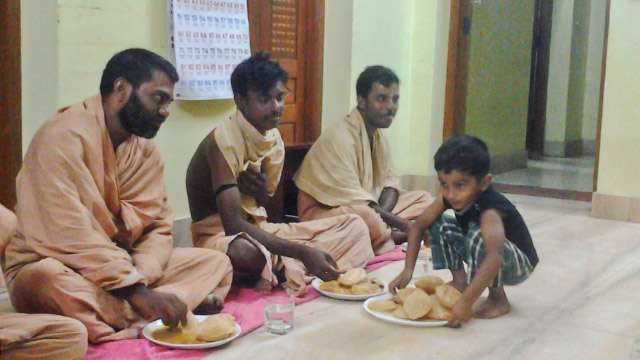 A Shivanga Sadhaka from overseas describes a heartwarming experience he had while begging for alms. “As I was roaming the streets of Coimbatore begging for alms, I was stopped by a taxi driver at the railway station parking lot. He asked me why I was begging, and I tried to explain that it was my sadhana. He told me that he would not accept having a visitor beg for money in his country. He took me aside and offered to buy me tea and lunch. I told him I wasn't hungry. He then asked me to stay put in his van. He went around and collected money from over a dozen other taxi drivers and told me that this was from the taxi union. He then opened a bag and took out a clean, neatly folded white shirt. I tried to refuse it, but he would not accept. It had been one of the toughest Sadhana if may say so. Specially climbing up to the 7th hill has been an amazing experience. I had a bad knee and I had to depend only to walk with right leg. I could not look up as it would bring tremendous pressure psychologically and bring down my moral. Only thing I could do was silently chant Sadhguru's name within my self and kept walking with only few breaks of 2 to 3 minutes. It took me about 8 hours but it was worth all the pain and sweat. By 3 in the afternoon I began to climb down and by the time I was at close of 2nd Hill it was dark. Finally I reached Pundi Temple around 8.30pm and reached Ashram by 9.30pm to tie black cloth to tamarind tree. By this time I badly needed a deep in the kund but it was closed. However Ashram was very considerate to open Suryakund from 10-11pm. A deep in the kund regaled me and next morning I got up at 4 return back to Pune. Only after the trek was over I had very difficult pain in calf and leg. I also had a severe sun burn on my back and now shedding the skin. Only due to his grace I could climb. Many of my friends who saw me walking felt I would return back would not be in a position to make it there. It is only and only due to his grace I could see the 7th hill. Shambho!!! I hope there is awareness of legal issues about begging. It can lead to legal complications if a foreigner is begging. I'm not sure if you guys checked the conditions of tourist visa. Is it really possible to revive this sadhana in the age we are living? Trekking that long is perfectly fine but begging? y didnt sadhguru give this sadhana to ladies, For long time i was thinking somehow in my life i should beg, begging is a way to get rid of our ego get rid of the I thing, I wish if sadhguru can offer this type of sadhana to ladies too..
he does wat ppl needs. might be we gents need some more serious sadhana than urs" shivangi"
i m not sure about the legal complexities. but, begging is a very effective way to loose ego. truly anyone can give it a go but it takes more than that to be able to do this. this really takes a lot of discipline and physical strength, what's more there should be enough time for preparation. In the 6th installment of the Hatha Yogi Journals, the trainees taste the sweetness of devotion during Navratri.